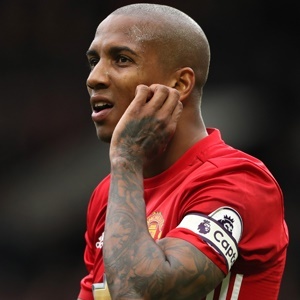 Cape Town - Manchester United fans have hit out at defender Ashley Young after a horror display by the defender in his side's 1-0 home defeat to Barcelona in a Champions League quarter-final, first-leg on Wednesday. Man United have another monumental task on their hands in the Champions League after Luke Shaw's own goal gave Barcelona a first leg lead with the home side recording zero shots on target. Barcelona looked comfortable for large parts of the game and finished with 68% of possession as Man United struggled to trouble their Spanish opponents. Defender, Ashley Young had a display to forget as the right-back who played as a right-sided centre-back in a back three struggled to hold onto possession. Fans took to Twitter to lambast the England international calling his performance one of the worst ever in the Champions League. Ashley Young is the worst. Barcelona’s Man of the Match: Ashley Young. I just cannot understand how Ashley Young still starts. I get why he's at the club and in the dressing room but how he genuinely captains Manchester United against the likes of Barcelona is beyond me. Best news of the night, Ashley Young didn't pick up a yellow tonight which means he WON'T be suspended for the 2nd leg. Phew.